An episodic adventure game created by the developers of Remember Me, a French studio DONTNOD. The game bears a resemblance to Telltale Games titles. Its protagonist is a 12th grade student named Max Caulfield, who returns to her home town in Oregon after years of absence. Life is Strange is an episodic adventure game created by the French studio DONTNOD Entertainment. The developer is known for Remember Me, an arcade adventure game published in 2013, which met with mixed reviews from both journalists and players. Life is Strange was created in collaboration with Square Enix. Life is Strange for PC, PS4 and etc. is one of the first productions that try to copy and use the proven and extremely popular formula of studio Telltale’s adventure games such as The Walking Dead and The Wolf Among Us. This means that the story is the key ingredient of the game, and the other elements of gameplay serve as background for the narrative. These elements include the freedom to explore the world and interact with it. Similarly to what we’ve seen in Telltale’s productions, players must make decisions at key moments of the adventure, which then have a significant influence on its course. 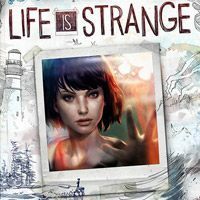 An interesting element, distinguishing Life is Strange from its competitors, is the fact that our protagonist has a power that allows her to go back in time. Thanks to this ability, the players can test different versions of events without the need to complete each episode many times. Life is Strange for PC, PS4 and etc. takes us to a fictional American town of Arcadia Bay in Oregon. Max Caulfield, the main protagonist who is about to enter adulthood, has recently returned to her homeland to begin education at a prestigious college after 5 years of absence. There, she reunites with an old friend named Chloe. Together they try to solve the mystery of Rachel Amber, a friend from college that has gone missing. Max quickly discovers that she has the power to manipulate time, which is only the beginning of strange and inexplicable events that she encounters in the course of the story. Life is Strange features a high level of graphics. However, the character design and environment are not photo-realistic, as the designers decided to employ a distinctive, slightly cartoonish style. Chrysalis is the first episode of the DONTNOD studio&#8217;s adventure game, which was made in cooperation with Square Enix. This guide will help you go through the storyline and will focus on the most important issues of the game.